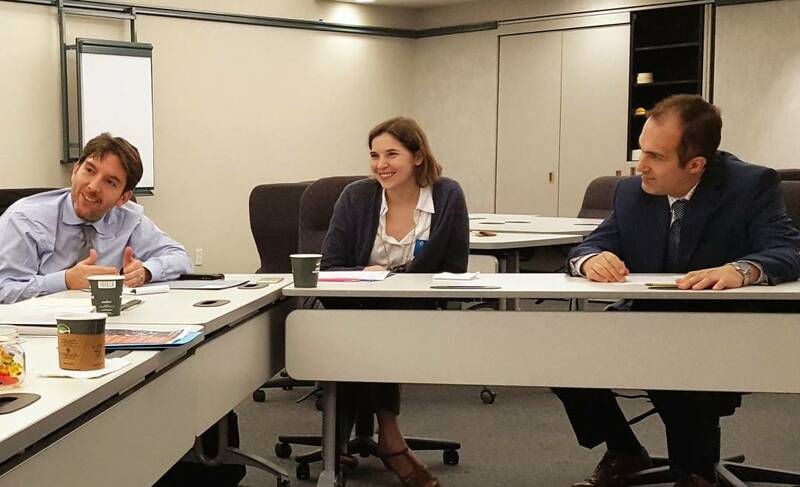 Consulting Quest hosted its Second Annual New York Consulting Procurement conference, in the format of a Digital Workshop, at the AMA Conference Center on June 29th. Thank you to everyone who joined us. This year’s event focused on the topic of Digital disruptions—how Digital is disrupting entire industries, transforming business operations and opening a vast real of possibilities. The event was insightful thanks to a combination of both speakers and attendees from companies like Verizon, Bloomberg, Solvay Group, Solvay Novecare, SpecialChem, Stratalis Consulting, Valeocon Consulting, Association of FinTech Professionals, Flevy and many more as well as our Advisory Board Member from Canada. The workshop was broken into five sessions, each led by a guest speaker from a focused industry. Our speakers presented us with valuable insights into their expertise and experiences dealing with different facets of Digital innovation, spurring intense and insightful discussions among the attendees. As Digital flows command an increasingly growing share of trade and economic growth, business executives must understand what possibilities Digital is opening for organizations in different industries and the actions they need to take to adapt. Various mega trends suggest that Digital is opening a vast realm of possibilities, with Tech Giants moving in the value chain. Laurent Thomas, VP Strategy at Solvay Novecare, explained that in the Chemical industry, digital technologies such as Artificial Intelligence, Augmented Reality, SaaS, Chat Bots, 3D printing, etc. are used to boost operational excellence, innovate business models and create the conditions required for digital transformation, leading to exponential changes. Bijon Mehta, President at Association of FinTech Professionals, gave a fresh perspective on the innovation and digital transformation journey for financial institutions. He stated that the most recent wave of digital transformation started within the past 4 years, through the introduction of innovation labs, launch of new incubators & accelerators and the pursuant of a broad range of innovation activities including Design Studios, Corporate Venture Funds, University-based Programs, etc. and 2017 is a critical year in seeing how these initiatives progress. However, there are many challenges in Digital transformation efforts, some of the most common ones include: difficulty in building an innovation culture and awareness; disconnection between the digital group with the rest of the organization; competing or misaligned internal efforts; under or over-budget and the lack of senior management support. Therefore, a complete paradigm shift is needed to avoid these problems. Thomas Bertels, Partner at Valeocon Management Consulting, explained that organizations need to put in place an operating model with a rapid design and execution cycle and place emphasis on executive involvement. Rajiv Gupta, an expert in procurement, suggested that the procurement function also needs to support enterprise digital transformation objectives. Procurement units need to change the mechanization of the old ways of doing business and orchestrate a procurement-as-a-service portfolio. They also need to understand the pros and cons of using a single technology provider vis-a-vis a suite of solutions. David Tang, CEO of Flevy, offered insights on how consulting firms are adapting their offerings to the Digital revolution. He explained that Digital is transforming the Consulting industry in three ways: i) Increasing Customer Touchpoints across channels, devices and platforms; ii) Rise of Robotic Process Automation and iii) Unbundling of traditional Consulting Service and the emergence of New Business Models such as Subject Matter Expertise, Analyst Work, Framework/Methodologies, as well as Data and Market Research reports. However, it is important to recognize that Digital is not just about technology, as George Hemingway, Partner at Stratalis Consulting, pointed out that Digital is about Value, Vision and Victory. Digital itself is not enough to create value without the right vision and systems in place. To go from Digital to Intelligent, a human touch is needed. To conclude, Digital Innovation is about Culture, Clarity, Consistency, Corporate Experience and Curious Market. Those in an innovation capacity need to play a role in shaping and influencing the culture and be prepared to play the long game. Thanks everyone again for a fantastic event! Please contact us at Info@consultingquest.com for more information about future events. The event was very insightful thanks to a combination of both a great mix of attendees from companies like L’Oréal, SNCF, Solvay, consulting firms and professors, mostly French but some made the trip from the UK too; and some quality speakers who presented us with some valuable insights into their expertise. There was a nice interaction between the audience and the speakers, on topics such as the evolution of consulting, how companies buy consulting today, the impact of the digital revolution and how we can better work with consultants. Everything is now moving online, all companies need their web portal, being able to do e-commerce, communicating online, and keeping in mind that the consumer is more and more active on the move from their smartphone. The consulting firm organization needs to be agile, to adapt to rapid change, to work together, to fail fast so you can succeed sooner utilizing user feedback instead of intuition. Emmanuelle Savarit, CEO of Analyse Concept, explained in detail the variety of roles in the Digital Capability which are more diverse than most imagine. She therefore questioned the ability of the Big 4 to be the best in each digital expertise. 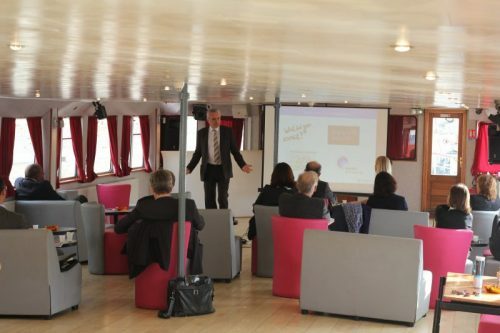 Alain Alleaume, Founder and CEO of Altaris, illustrated those trends with the example of cloud computing, and particularly SaaS. Clients have higher expectations as they want consultants to be specialized in their profession giving them a legitimacy to find the best solutions and to support the client when entering the project phase. Therefore, consultants need to adopt an agile methodology, be on constant market watch, understand the vendor market evolution, and bring a real added value, the best “value for money”. Most companies work to optimize their external spend and their pool of suppliers to better support the overall strategy. What are the key activities that can be outsourced? What providers are appropriate for us? Is it worth it to outsource a particular activity for the long term? The same questions apply to consulting procurement. Pascal Lupo, President of SNCF Consulting, explained that the advantages of in-house consulting were that the consultant was aligned with the history, the culture of the company, it also has an indisputable confidentiality edge, and of course some economic interest. On the other end, the increasing need for highly specialized consulting makes it far more difficult for buyers to have experienced the volume of consulting projects that would enable them to develop portfolios of reliable and high-performing consulting providers. By working with companies specialized in this field, those companies will be able to analyze their consulting spend, refresh their make or buy strategy, identify robust suppliers and areas where new blood is needed. William Frost, President of Strategy Analysis International, explained that over the years there has been a clear shift from a product- to a service-driven economy. Products are now only a minor part of any supplier’s offering. The service economy changes the old production paradigm where the supplier’s output is the key economic variable. In the service economy, you NEED a customer to produce. You cannot stock services. The customer thus becomes an integral part of your production process. You no longer supply anything: you co-produce with your customer. The supplier’s input becomes part of the added value of the customer’s own production process whereas the customer is now the supplier’s partner. The consultant as a service provider has also evolved, from supplier of some form of expertise (or forgettable reports) to partner, increasing their integration with the customer. Our First Annual Conference – Consulting Procurement 2.0 was a Success! 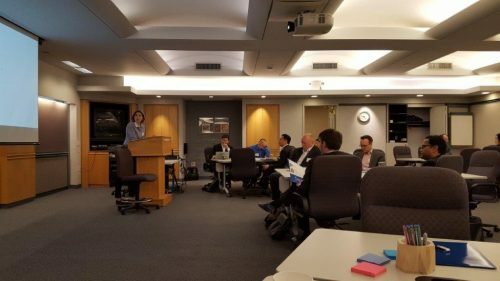 We want to thank all the attendees who were able to join us in NYC at the AMA Conference Center yesterday engaging in several high level, strategic discussions on topics such as the evolution of consulting, how companies buy consulting today, how can we better work with consultants, and what are the best practices we should share. With past and current executives from companies like L’Oréal, Citigroup, PwC, Solvay, Dow Chemicals, Pearson, and Green Silk Associates there were many unique perspectives shaping a robust collaboration of ideas and fresh takeaways. We want to thank Swapcard for co-sponsoring the event with us and elevating our networking efforts! Some great connections were made and we are already looking forward to next year’s event! Please contact us at Info@consultingquest.com to request more information for future events.